At Smith Water Systems Inc. we are dedicated to providing our customers with prompt and friendly service. We value your business and have made it our mission to provide reliable products and services in our customer-driven approach. Smith's is a family owned and run business, servicing Ontario for over 45 years! We provide residential, industrial and commercial customers with help with their wells, pumps, water treatment and treatment equipment. Smith Water Systems is pleased to announce the merge of McCann Water Systems, who have been servicing the Georgian Bay area for over 30 years. It is with great pleasure, that Smith Water Systems welcomes McCann and every one of their clients to our family. We look forward to working with you all. Children can learn about the water cycle, groundwater and wells by following Aqua-the water droplet's quest for a nice place to live. 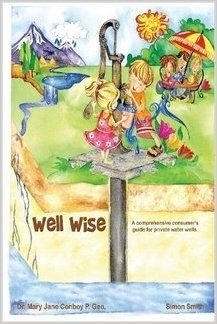 Well Wise - This provides private well owners with all the information they need to understand and properly maintain their water well. Copyright © Smith Water Systems Inc, 2018. All rights reserved.